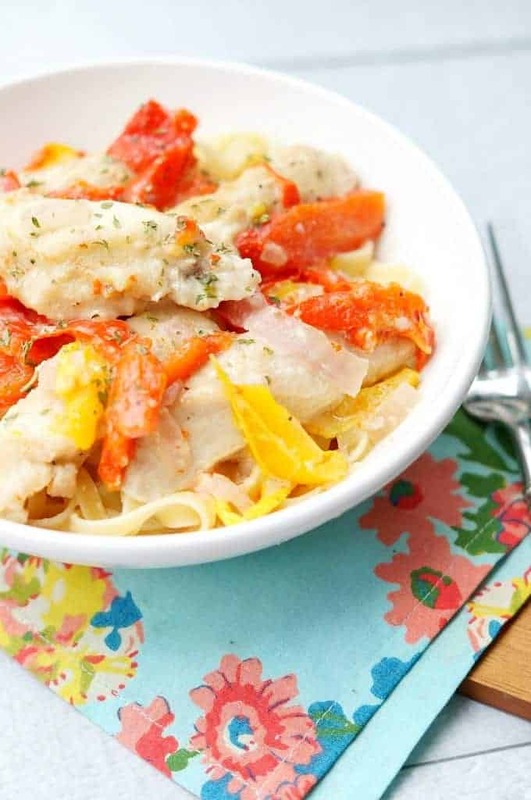 Home » Recipes » Course » Dinners » Instant Pot Chicken Scampi – Ready in Minutes! 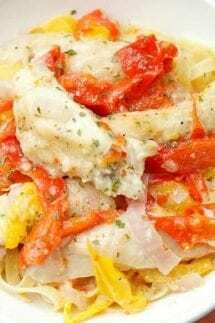 Instant Pot Chicken Scampi – Ready in Minutes! 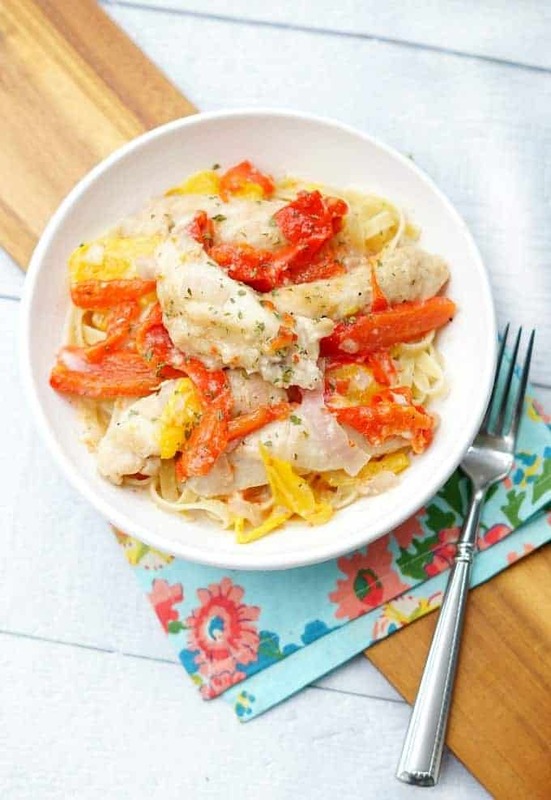 Instant Pot Chicken Scampi is a delicious, restaurant quality meal, made in at home in your pressure cooker in just minutes! An easy dinner your family will love! Hi everyone! 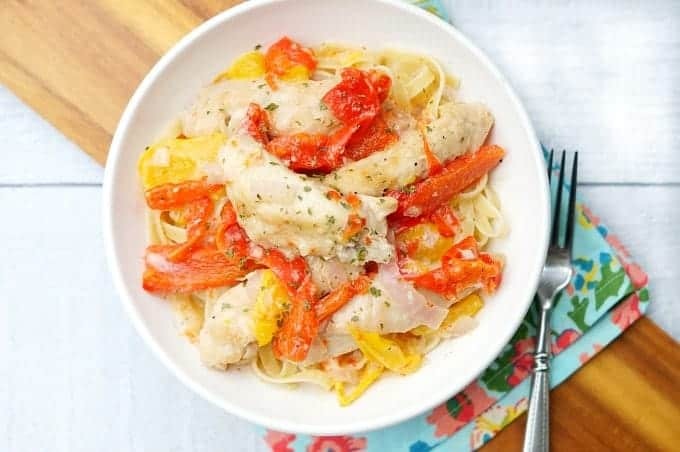 Amanda here again from Old House to New Home sharing a delicious and easy Instant Pot Chicken Scampi recipe. If you are new to the Instant Pot, then you are missing out! It makes dinner so easy and cuts out so cooking time. Don’t know how to use an Instapot – Check out this Article on How to Use an Instant Pot! I love that I can now have roasts and soups done in an hour instead of slow cooking for hours! 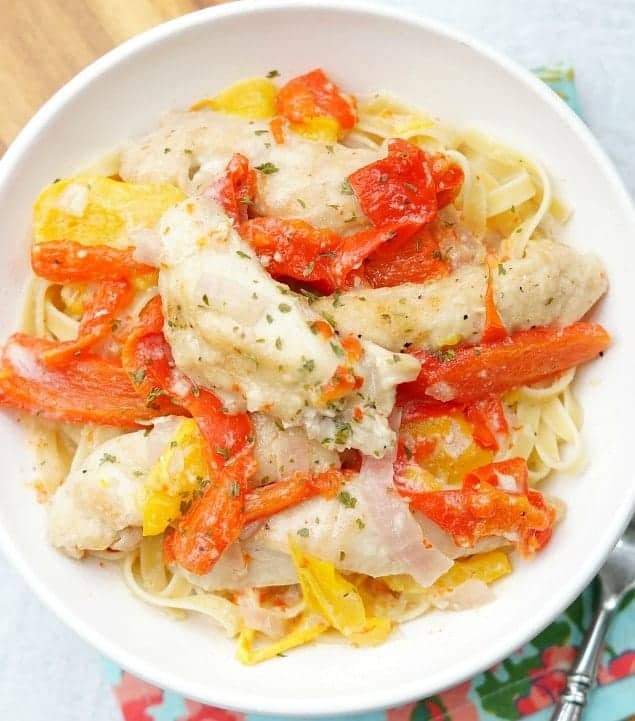 This Chicken Scampi can be made on the stove top as well, but the Instant Pot makes it all come together much quicker and eliminates heating up your stove in the warm summer months. Be sure to also see Princess Pinky Girl’s amazing Best Instapot Recipes round-up! I think most people are familiar with the classic restaurant dish, Shrimp Scampi. I love the flavors of garlic and white wine in scampi sauces, but I have a severe seafood allergy, so I have adapted all the delicious flavors of shrimp scampi and replaced it with chicken! 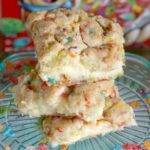 This recipe is really simple and has minimal prep work. Once you dredge the chicken in the flour and cut up the peppers and onions, everything just gets tossed in the pot. You use two different Instant Pot functions, first the saute function to brown the chicken and then the rest of the ingredients get added and you get a quick high pressure cook. That is the perfect time to heat up some rice or pasta to eat with the scampi! The sauce is really delicious and you will want something to sop up all that yummy white wine and parmesan flavor! Seriously guys, if you don’t have an Instant Pot yes, you must get one! Don’t know how to use one? See How to Use an Instapot! The chicken just falls apart and the vegetables are so tender and delicious. And instead of standing in front of the stove stirring every few minutes, you can just toss everything in and get the table set! Perfect for hot summer nights or busy school night evenings! 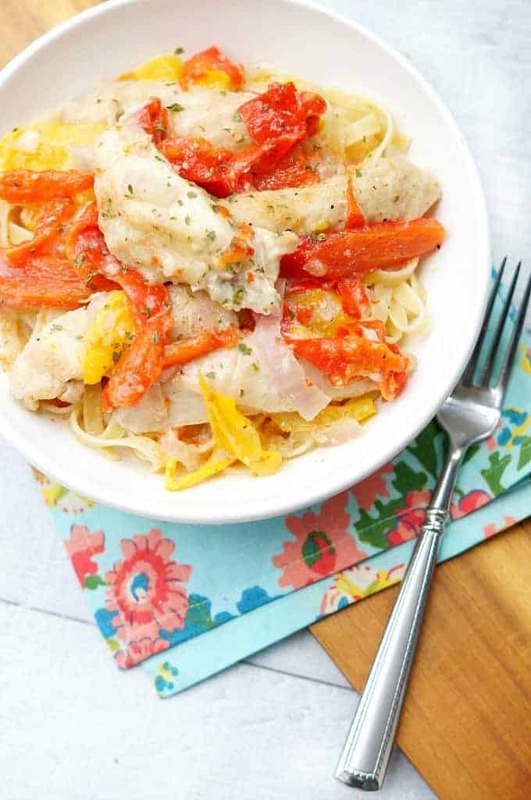 I hope you love this Instant Pot Chicken Scampi as much as we do! Preheat Instant Pot to saute function. In a shallow bowl, mix together flour, 1/2 tsp. salt and 1/4 tsp. pepper. Dredge chicken strips through the flour and shake off the excess. Once Instant Pot function switches to HOT add the butter and olive oil. Add chicken to the pan and brown each side, about 2-3 minutes per side. Turn pot off. Add the onions, peppers, garlic cloves, wine, chicken broth, and the remaining seasonings. Turn pot to manual high pressure and set the timer for 5 minutes. Turn the lid to seal and let cook. Once 5 minutes is over, do a quick pressure release and open the lid. Remove the chicken, peppers, and onions from the sauce and set aside. Add the half and half and parmesan cheese to the pot and season with additional seasonings to taste. If sauce isn't thick to your liking, turn the pot on the saute function and let sauce cook until thickened, about 5 minutes. 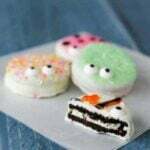 Ice Cube Tray Hacks that are Too Cool! Delicious! Just like the Olive Garden, except my peppers & onions were quite cooked/soft. Since the chicken was pounded thin, the sauté function had them mostly cooked in 2 min. Per side. Could this pressure cook adequately in just 1 minute?